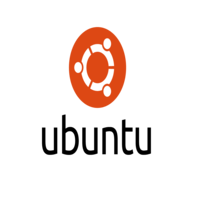 Ubuntu is the most popular operating system running in hosted environments, so–called “clouds”, as it is the most popular server Linux distribution. Minimize on click: In Ubuntu 18.04 now user can minimize the window by clicking on on a program in Unity launcher. Just to add, it won’t work when multiple windows of the same applications are opened. Even tinier Unity launcher icons : Unity launcher can now be even more slim. The default launcher icon size remains the same in Ubuntu 18.04 but here you can reduced the size of the icons to 16px. Live window resizing is now default : In Ubuntu 18.04, the live resizing of windows is enabled by default. Keyboard filtering for Unity Spread: In Ubuntu 18.04, when you have triggered Unity Spread and you start typing something, it will bring the application window(s) in the front whose name/title matches with what you type.